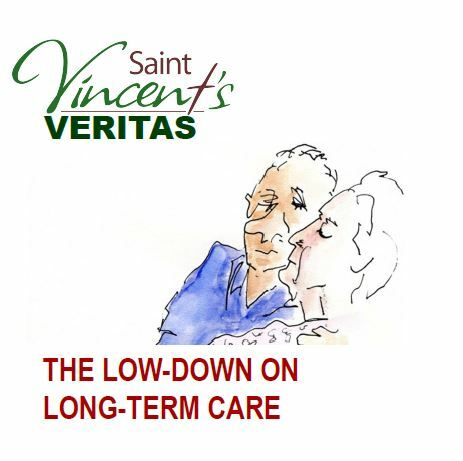 Saint Vincent’s Veritas: The Low-down on Long-Term Care, is an on-going series o f podcasts on the challenges associated with entering long-term care. What were the surprises you as a family member encountered preparing to enter long-term care? What needed to be done? What went right? What didn’t? Hear about the transition for both a mother and daughter who have recently gone through the experience. Entering long-term care can be a real mystery. What’s the difference between private and public facilities? How much does it cost? What should you look for in a facility? And how do you even start the process to get in? We interview an expert with all the answers.